Note: Today’s metabolic conditioning program comes from our good friends at SEALFIT. For the USAW progression, challenge yourself with increasing the weight on each set, adding at least 10 more pounds than last week. A great goal for the final set (once completely warmed up) is 135lb. for men and 95lb. for women, with all repetitions “touch and go”. How many people can RX todays workout in 6:00 or less? 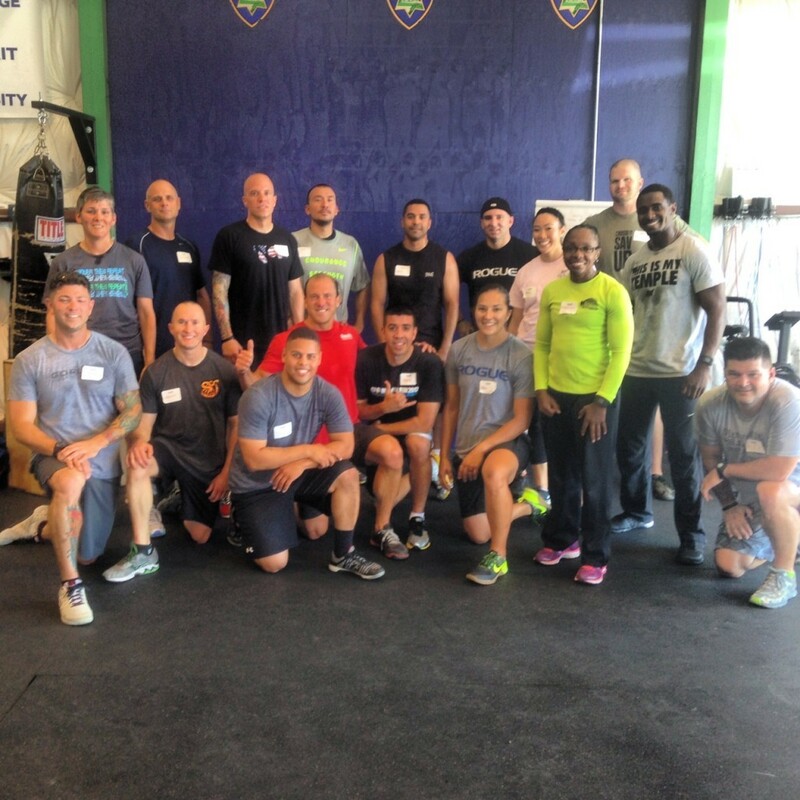 On July 11, 2015, Greg Amundson taught the CrossFit Law Enforcement Seminar at Hayward Police Department’s CrossFit Affiliate gym. This Seminar was unique in that 12 different Law Enforcement Departments were represented by the 16 Officers in attendance. Today’s EWOD will be a run and row session at HQ.